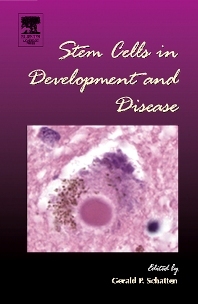 This volume of Current Topics in Developmental Biology showcases the research and therapeutic value of stem cells, and is proof of the increasing maturation of the fields of regenerative and molecular medicine. Therapeutic cloning and tissue engineering to produce functional replacement tissues. The role of the protein a-synuclein in a host of neurodegenerative diseases, which may be the first to benefit from stem cell therapy. The curious array of functions in eukaryotic DNA methyltransferase, crucial for normal development and at the core of epigenetics regulation. Influencing stem cell differentiation with mechanical stress, another example of genes versus the environment. The process of mammalian hematopoeisis, and inducing it in model organisms with embryonic stem cells. The regulation of differential parental germline genetic imprinting, central for epigenetics. The molecular function and regulation of the cystic fibrosis gene, critical for understanding the complete molecular mechanism of this devastating disorder, which might soon be treatable with stem cells. This volume comprehensively describes some of the most current issues in stem cell biology, and is an exciting preview of therapies that may soon be applied in the clinic. It is essential reading for researchers, clinicians, and trainees alike.